Coronary illness is sufficiently troublesome when it strikes grown-ups; however, it can be particularly more severe in kids. A wide range of heart issues can influence youngsters. These include congenital heart defects, atherosclerosis, viral infections that affect the heart, and even heart disease acquired later in childhood due to sicknesses or hereditary disorders. Fortunately, with medical advancements and expertise of cardiology specialists in Delhi, numerous kids with coronary illness go ahead to live dynamic and active lives. The child suffering from cardiac problems requires extra oxygen supply at home. A small tube that rests at the entrance of the child’s nose helps to stabilize the supply of oxygen. The amount of oxygen as prescribed by physician should only be given through oxygen therapy. It is your attitude towards the patient that helps in the early revival than the magic of the medicines. Parents dealing with their child must show empathy and compassion. This will motivate the child and will be helpful in his early recovery. Don’t get irritated by abnormal behavior of the child during the treatment procedure. Parents should be aware about the correct dosage and proper method to provide medicines to their children.You may even hire a professional nurse to take care of your child. Being strong, heart medicines can be hazardous if not given accurately. We also suggest that you maintain a written chart/record of your child’s medication. The immunity of a child who suffers from a congenital heart disease is usually weak. So, parents have to take special care of their child. This is the reason that many cardiac patients are given antibiotic before surgical procedures. Strictly follow hygiene instructions given by the doctor and make it a habit for the child also. Maintaining your child’s dental health and keeping him or her away from tooth infections is also very important in this regard. Any signs of skin infection or infection at the site of wound should immediately be reported to the treating doctor. Infants affected by cardiac diseases have a higher metabolic rate and hence consume more calories. Proper care of their nutrition is must for keeping them in sound state. Being child, he or she may insist on having food items that may not be good for his or her health. When made to stay away from such stuff, they tend to get agitated, so handle them with utmost patience as this is bound to happen with anyone. Make sure you always have something or the other to offer them as a healthy choice. Give small and frequent meals that are easy to digest and given them enough energy. 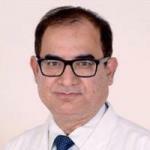 We also suggest you to keep a list of cardiology specialists in Delhi , particularly those handling pediatric cases, handy so that during emergency you can reach out to them.